In the 1880s the summer population of Sugar Hill—one of the famed summer resorts in the White Mountains—swelled to nearly 1000 as city folk flocked to its four grand hotels and several smaller ones. Often families came for the entire summer. Although visitors longed for their traditional church services, the closest Episcopal church was in Littleton, a lengthy trip by horse and wagon—not much faster by “motor car”. For several years Episcopal services were held in the ballroom of the Sunset Hill House. Eventually a committee was formed and money raised to build an Episcopal chapel on the land donated by Mr. Reeves, who owned the large Merrimonte Hotel just across the road. The architect was Jonathan Withers of New York City—for a “building of simple design”. The cornerstone was laid in 1893, and on August 30th of the following year the chapel was dedicated at a special service. The building was painted dark red and had a solid stone foundation. At first there were only wooden benches to sit on. The window behind the altar was not really stained glass but was of paper colored to look like stained glass. 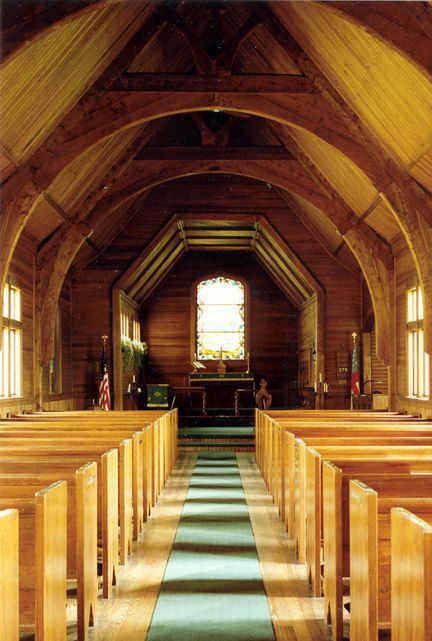 In time a beautiful window was given and real church pews were installed. In time the solid foundation was found to attract moisture and was replaced with the stout underpinning covered with lattice work that we have today. Eventually also the original dark red color gave way to white. Three of the four beautiful stained glass windows gracing the chapel today came from a church in Cold Spring Harbor, New York, where they had been given by the Cammann family. 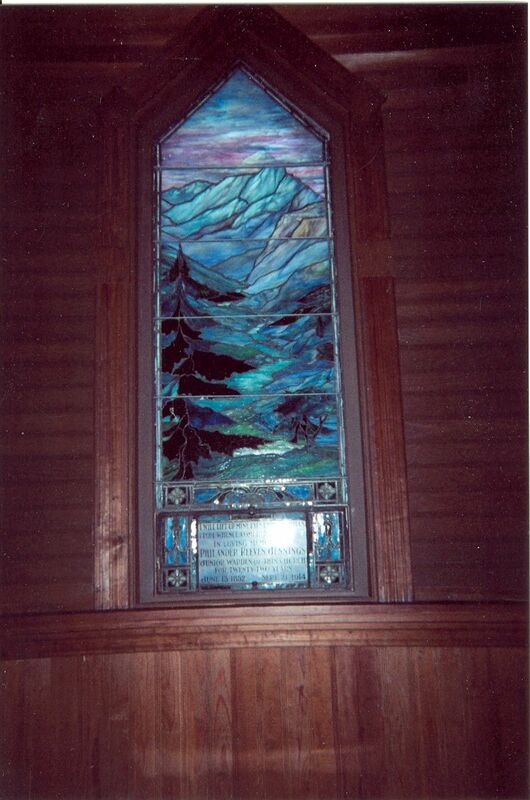 When that church was to be torn down they had the windows brought to Sugar Hill and installed in St. Matthew’s. The windows represent the finest in stained glass art of their era. The window next to the baptismal font is attributed to Tiffany. A Memorial Garden was started in 1976, and today includes plants and shrubs around the chapel in memory of loved ones who have died. The St. Francis statue was given in memory of Alexander Hamilton Biddle. While the days of the grand hotels have long vanished, St. Matthew’s remains a treasured and meaningful place of worship. Each summer friends gather here. Some are long-time residents who have been coming here for 80 years; others are vacationers coming for the first time. St. Matthew's is pleased to continue the Episcopal tradition of hospitality and depends on the generous gifts of visitors and long-time friends for support.